Ever wonder how people in your position are doing financially? How much does the average 35 year-old have saved for retirement? What percent of a 50 year-old’s portfolio is in stocks? How much does a retiree draw from the 401(k) a year? Of course, the answer may vary… General ideas may or may not provide you with valuable information as far as how to reassess your game-plan. It all depends on where you set your priorities, and what standard you aim to live your life. 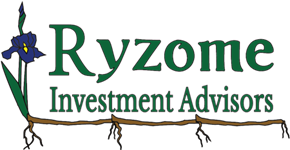 Working with a Ryzome Advisor can help you understand how secure your financial position is, and what steps you can take to strengthen that position.